We're here to help you explore innovative ways to support and enrich your teaching. Have an idea you'd like support with? Need an extra set of hands to help document your work? Contact Us. 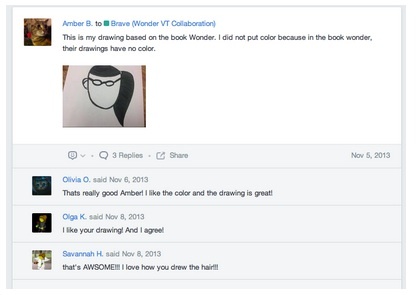 5th-grade educator Hannah Lindsey used Edmodo as an LMS for reading at Peoples Academy and saw an immediate increase in student engagement. Social media provides a wealth of ways to share the amazing work you're doing, as well as keep up-to-date on what's new in the edtech world.